President Donald Trump has tapped State Department spokeswoman Heather Nauert to serve as U.S. ambassador to the United Nations, two people familiar with the matter said on Thursday night. 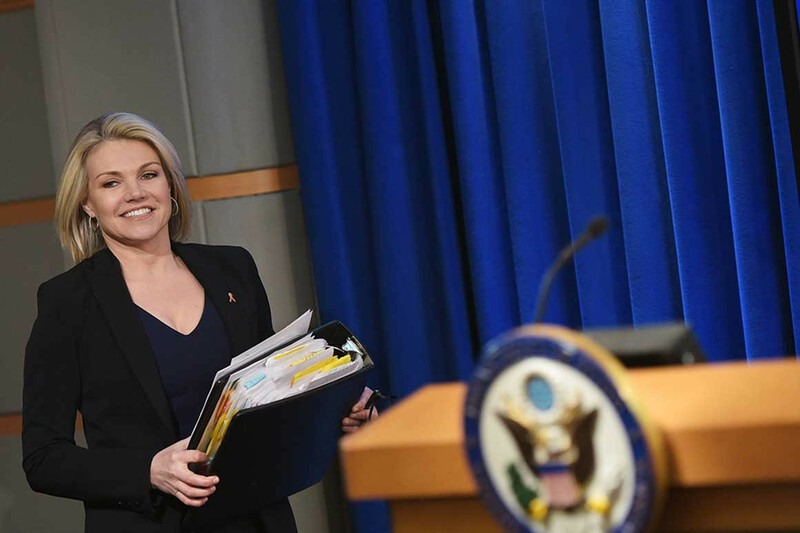 Nauert’s apparent selection came as something of a surprise, since people close to the situation had previously said Nauert had fallen out of contention for the post after emerging as an early favorite. And only last week, John James, a potential Republican rising star who just lost his U.S. Senate bid in Michigan, was being described inside the White House as a serious contender. But in recent days, James’ chances fizzled, felled by a lack of foreign policy chops. Each contender has faded for various reasons. James was seen as lacking the necessary foreign policy acumen; Powell, who left the West Wing in January, decided to stay put at Goldman Sachs at her colleagues’ urging; Trump said Grenell was performing too well in his current role to be reassigned; and Craft and McCourt never fully captured the president’s attention. It’s unclear whether Nauert’s appointment would mean the position has been downgraded. White House national security adviser John Bolton, who was himself ambassador to the U.N. during the George W. Bush administration, also asserted himself in the decision-making process, according to two Republicans close to the White House. Bolton, they said, wanted to ensure the nominee has the requisite foreign policy chops. When Bolton took the U.N. job, he was working as a top State Department official and had previously done stints at the U.S. Agency for International Development and the Justice Department. Haley, a former South Carolina governor whose next move remains unclear, plans to stay in New York until her 17-year-old son finishes high school. She has not said publicly whether she has a preferred candidate for the U.N. job.